YES! 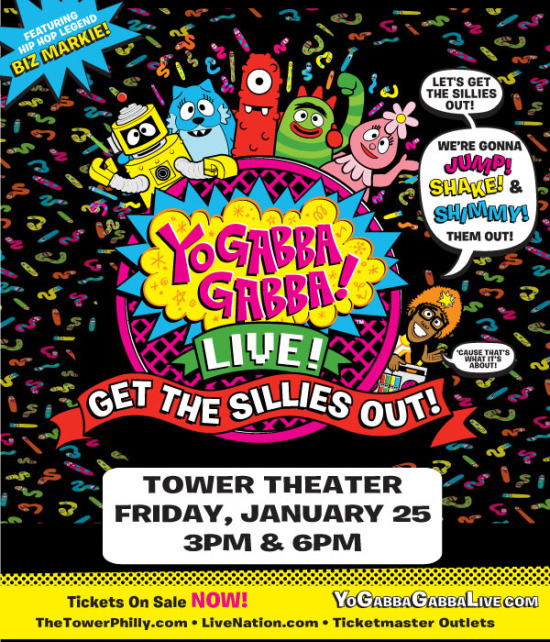 Those awesome characters that so many kids ADORE are coming back to town and WE have TONS of great tix to giveaway!! If you can't wait - grab your tickets now for the show being held at Tower Theater in Philly. Head to the Real Mom Media Facebook page and share a video of your favorite Gabba Fan doing their Favorite Gabba song & dance! Then come back to THIS post and post a comment with a link to your video! *Extra points - link this giveaway and post on twitter tagging @JoeyFortman when you do! Then return here and leave a comment with a link to your tweet! This particular video contest ends January 11, 2013 at midnight! *All Real Mom Media, LLC contest rules apply. Winner receives 4 top notch tickets to this super hot show on January 25, 2013. Winner of this contest also has a chance to win the VIP experience to MEET and hang out with the characters! And remember - Don't Be Mean to Your Friends - It's Not Nice!